Cabana Desolation was originally conceived as an extension of our camping sea kayak tours – a luxurious base camp that provides a level of comfort not possible on a regular camping tour. That being said, many of our guests at Cabana Desolation do not wish to kayak every day. Some of our guests decide that kayaking is not for them at all! Still others are experienced kayakers that wish to stay at the resort without going along with the daily guided trips. 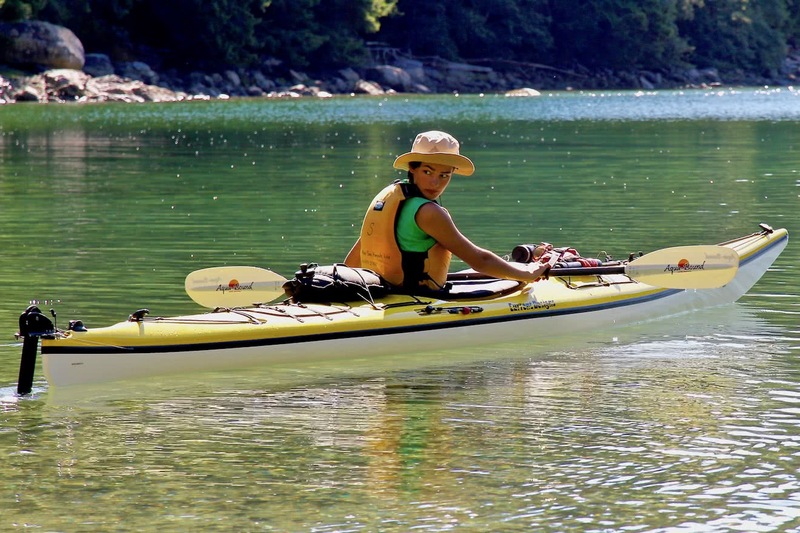 An unguided Chill & Immerse Package for those who wish to kayak on their own, or not at all! Located centrally on an island in Desolation Sound, radiate each day in a different direction and discover many diverse opportunities and experiences. 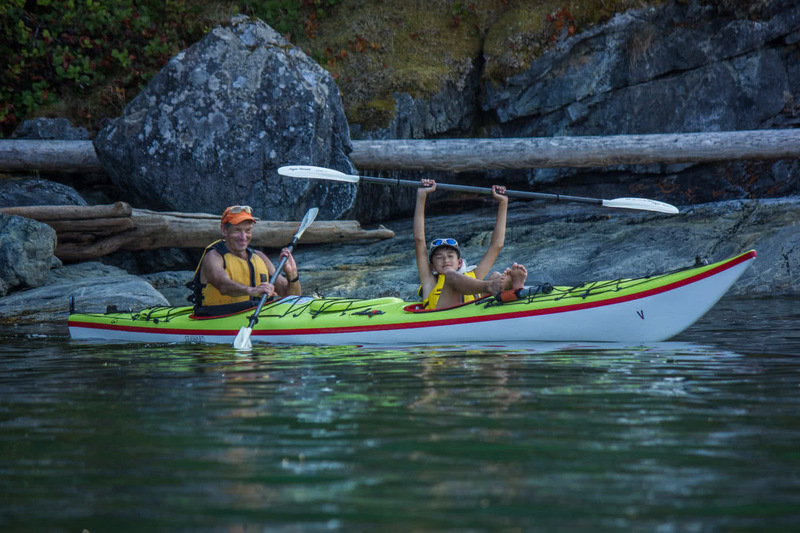 Whether you are circumnavigating our island at low tide and getting up close to the intertidal marine life, or crossing the Sound to access cozy pocket beaches on Cortes Island, a kayak is the perfect vehicle for exploring this expansive area. Explore deeper Desolation Sound at the tranquil Curme Islands in the shadow of the Coast Mountains. Access a nearby trailhead at Feather Cove and hike on the Sunshine Coast Trail to a breathtaking viewpoint overlooking the Sound. Maybe visit the funky boardwalk community of Refuge Cove and catch a glimpse of coastal British Columbia’s unique island culture! Click for a map of popular day paddles from Cabana Desolation. Cabana Desolation is located 8 nautical miles from our office location on Okeover Inlet. Most of our guests access the resort by sea kayak. On our guided packages, this is typically a comfortable day paddle. A couple of hours paddling in the morning is followed by a relaxing shoreside lunch and another hour or two of kayaking in the afternoon to reach the resort. 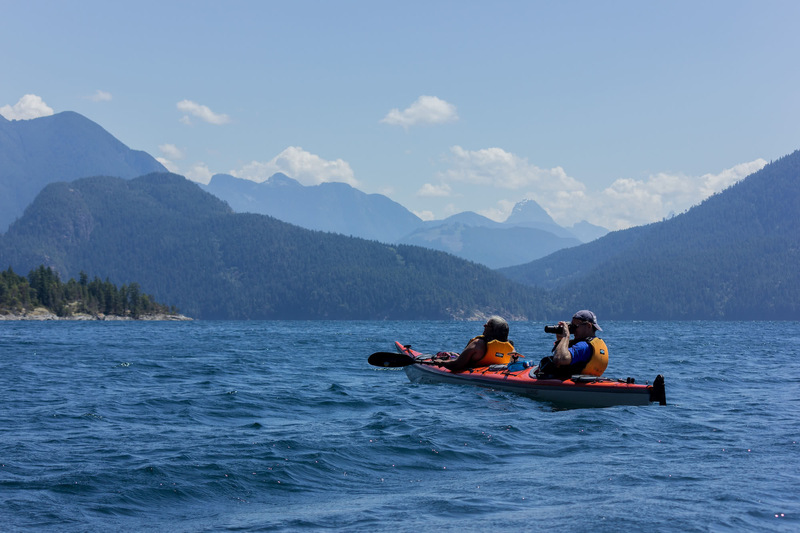 This route paddling the protected and varied shorelines of Okeover and Malaspina Inlets gives our guests their first connection with the natural beauty and diverse wildlife of Desolation Sound. Access is also available via motor vessel transport.